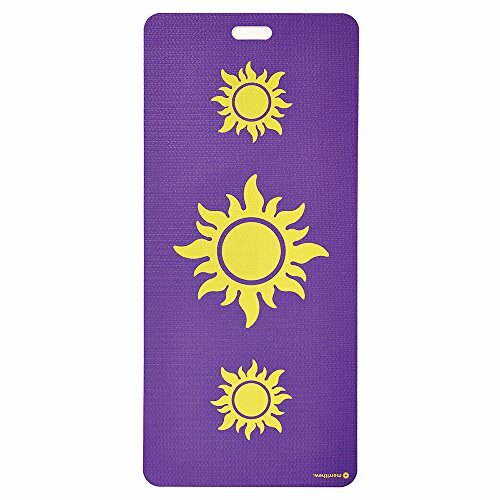 This planet-friendly and kid-friendly mat is great for yoga, mat classes, exercise, playtime and more! Protect kids' spines from hard surfaces while having fun and developing healthy habits that will last a lifetime. Designed specifically for exercisers-in-training, kids will love the bright design and fun-to-touch texture while parents can feel good knowing that it's free from toxins, heavy metals and phthalates. Complete with a built-in-handle, this eco-mat can accompany kids wherever they choose to enjoy their workout. •Be sure mat is dry before rolling up for storage. Fill a spray bottle with water and add 20-30 drops of tea tree oil. 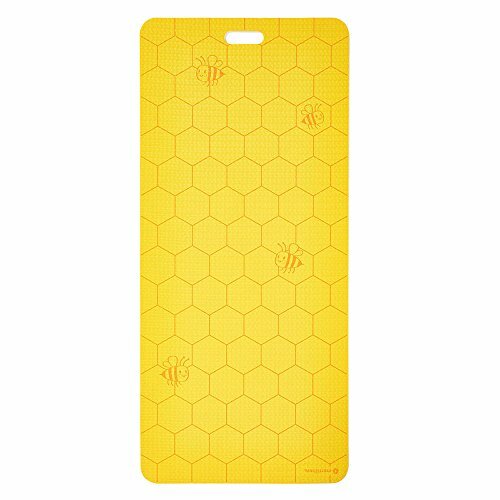 Spray the mat and wipe with a clean cloth. Let it air dry unrolled. Wipe the mat with cloth dipped in soap suds or laundry power solution. Rinse with water and wipe dry with towel or cloth.